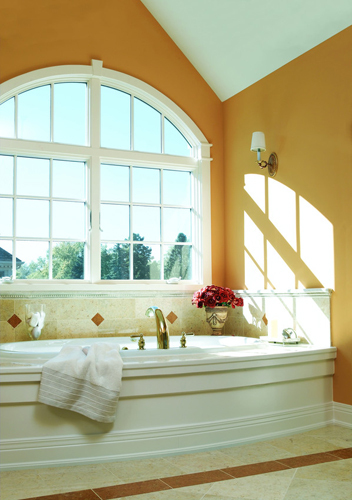 Beautiful custom bathrooms remodeled to provide years of comfort and enjoyment. Hackman Contracting is an experienced bathroom remodeling contractor serving homeowners in Rochester & southern Minnesota. Our experience provides our customers with beautiful bathrooms, from small simple layouts to extravagant designer bathrooms. We provide everything from the tiled and linoleum floors, cabinets, sinks, tubs, hot-tubs and more. Remodeling your current bathroom can greatly enhance the look of your home while providing your family with today’s most modern conveniences. When it comes to bringing out the beauty of your bathroom you can depend on us to provide expert attention and unsurpassed quality. Remodeling your bathroom doesn’t have to be stressful or expensive. We’ll handle all the details of your project and keep you informed every step of the way. Call us today to discuss your bathroom remodeling project.